Our first step is to set up an initial phone consultation so we can learn about what you’re wanting to accomplish and determine if we’re a good match for your general goals and budget. If you’re a Houston area homeowner or business owner, simply pick up the phone and call us, shoot us an email, or fill out our Contact Form and we’ll set up a call at a time that is convenient for you. If you’re not sure what materials would work best or how your bathroom should look, rest assured this is common, and we will begin discussing your style and preferences on our call. We’ll also gather some additional details and give you the opportunity to ask any up-front questions you might have about our company and services. This call will determine how we can best assist you with your bathroom remodel project (See Step 2 below), and ensure that there is a strong potential “fit” so that no one’s precious time is wasted. At the conclusion of our call, we can proceed to step 2 and set up an on-site consultation. Keep It Simple. We appreciate that people are busy and don’t have a lot of time to waste – especially in Houston. So, for those who are busy professionals, active retirees, or otherwise seeking a time-conscious shopping experience, we are set up to help you make selections and finalize certain limited-scope projects within the span of a couple hours, right in your home. These streamlined consultations eliminate many of the frustrations of traditional bathroom remodel shopping, and they save you from having to run all over town to sort through multiple vendors. We call this approach Keep It Simple. While not ideal for every situation, our Keep It Simple process is very well-suited for most tub and shower remodels, vanity and countertop replacements, and other straightforward bathroom remodel projects. There are no design fees with Keep It Simple. Design First. We also understand that sometimes folks are willing to invest significantly more time and effort to get exactly what they want. 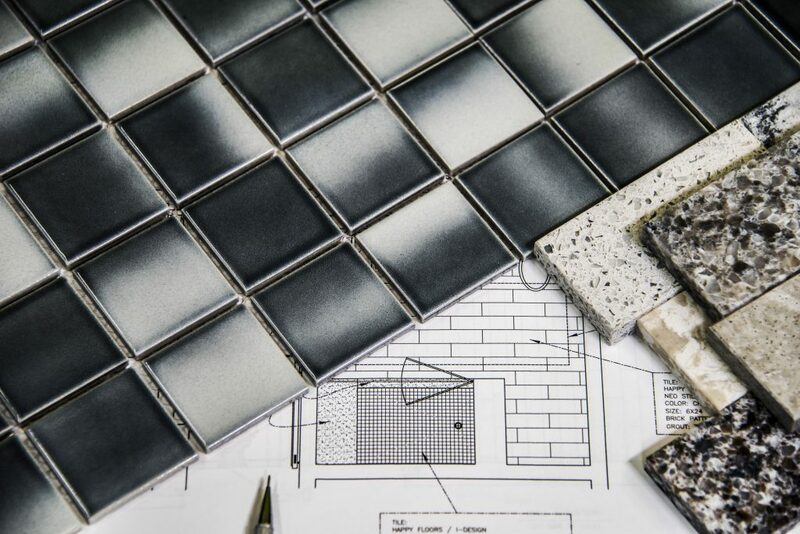 So, for clients who are looking for extensive custom tile work or design, or who have larger or more complex projects, we offer our Design First program. Design First clients require a slower, more measured approach which usually involves several on-site visits, multiple trips to tile and vendor showrooms, and sometimes, the services of an interior designer. We conduct an initial evaluation and charge a small design fee for the additional time and effort necessary to work on these types of projects, and often move to a Design Agreement for very involved situations. All design fees are fully credited towards your project when you sign a contract with us to remodel your bathroom. Once we have reached the point where the design and selections are finalized and you’re 100% happy with all your choices, we’ll sign a contract and collect a small deposit, or set up a payment arrangement through one of our banks. Our company owner will also provide you with his personal cell phone number, to ensure that your entire experience is as worry-free as possible. At this time, we’ll begin our back-end processes of planning and coordinating your job, which include ordering and receiving materials at our Houston facility, and scheduling and planning with our team. The length of time required here varies depending on the nature of your job and the products included, but we will provide you with an estimate when we take your order and we will keep you continuously informed as your job start time approaches. When demolition and re-construction begin, you can rest easy knowing that our crews will be courteous and punctual, and that we will respect your home and its furnishings by working carefully and placing drop cloths and plastic coverings throughout our path. At the end of each day, we will clean up and then review our next steps, if you are available. All job trash and debris are hauled away and disposed off-site, at our Houston facility. Finally, when the work is complete, we will take photographs and collect your final payment. Working with us is easy – simply call or email when you’re ready to get started. We love to hear from our customers and we will be honored to discuss your project. We currently service all of the Greater Houston metro area – including the Woodlands, Spring, Katy, Cypress, Sugar Land, Cinco Ranch, Fulshear, and surrounding communities. If you would like to inquire about our availability or areas of service, call us at 832-464-7251.